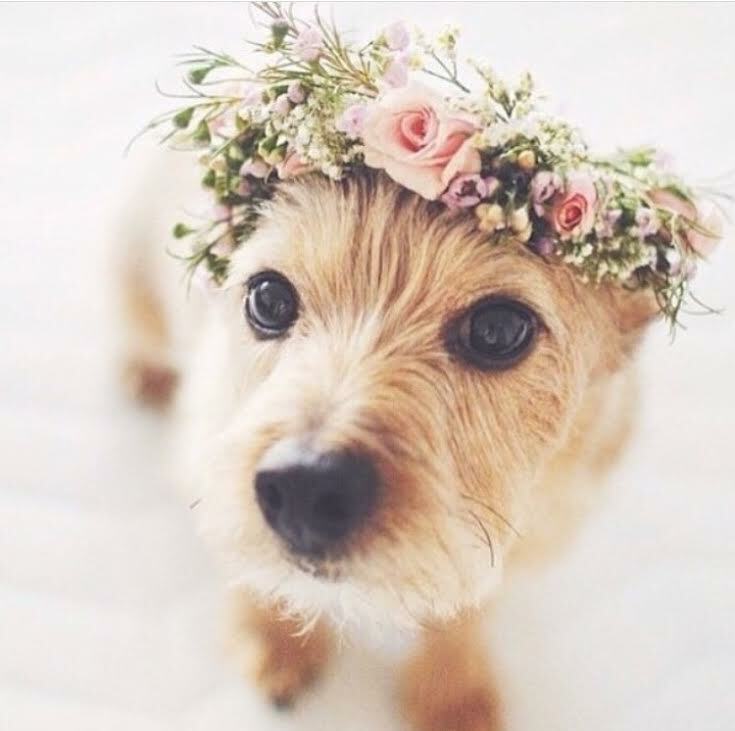 Pamper your pooch in florals that match the aesthetics and color scheme of your wedding. Decorate her in your bouquet's peonies and watch your dream of getting a matching outfit with your best friend ensue. He's been your best friend before your new partner and after. He's the one that decided the permanence of your new human friend by his the strength of his bark. Have your pal walk down the aisle alongside your fellow guys. While the classic ring bearer idea may come to mind, we are not so sure about putting 6 months rent on the back of a pup, no matter how cute. Allow your dog to contribute to your wedding by walking alongside the flower girl. This double dose of cuteness makes the perfect opening act to the grand bridal entrance. Just like you have found love, all the pups in shelters deserve love too. Showcase an adoption opportunity at the end of your ceremony to allow your wedding day to be the day your friends and family met their furry soulmates alongside you marrying yours. Puppies can be the best accessories - as Elle Woods has taught us. Let your bridesmaids carry a cute pooch as they walk down the aisle. This is such a fun way to show the pups who are up for adoption! Let's be honest, a pup all groomed up is going to the be the most photogenic character at the wedding. Bring him or her to your pre-wedding photo shoot and let the cuteness ensue.